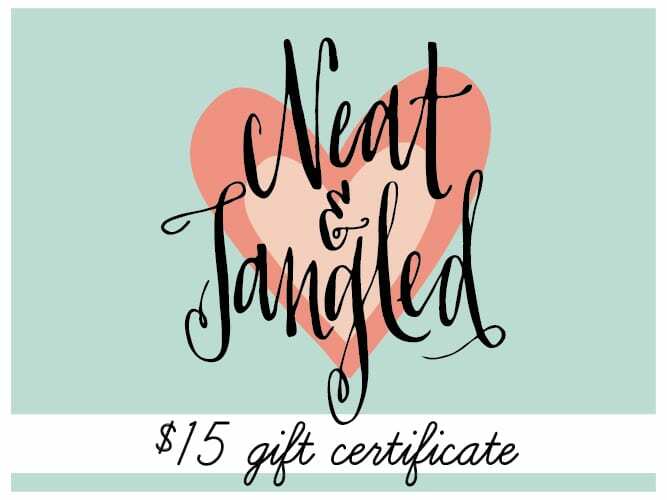 I am so excited that today is a special day for Neat & Tangled ….. Happy 5th Birthday Neat & Tangled!! As it is birthday month, Neat & Tangled have mixed things up a little and release day is today and not the usual Friday of release week! 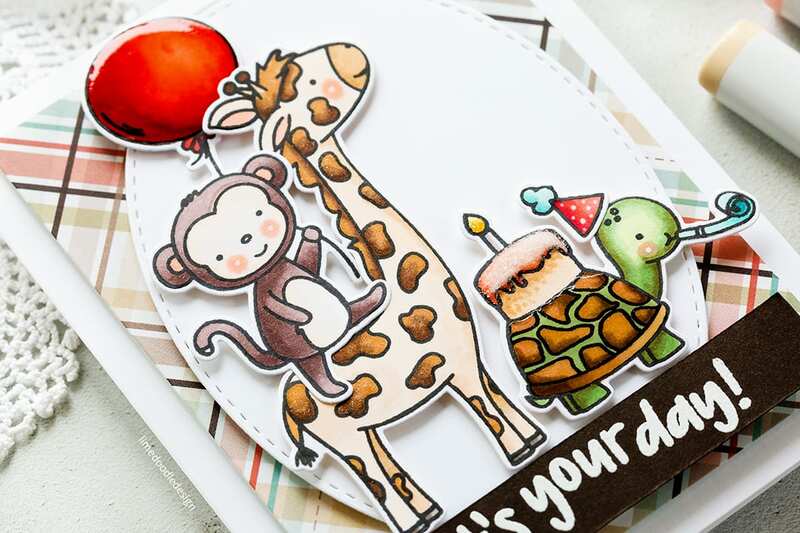 Here’s a look at what’s new and available in the Neat & Tangled store and Simon Says Stamp. 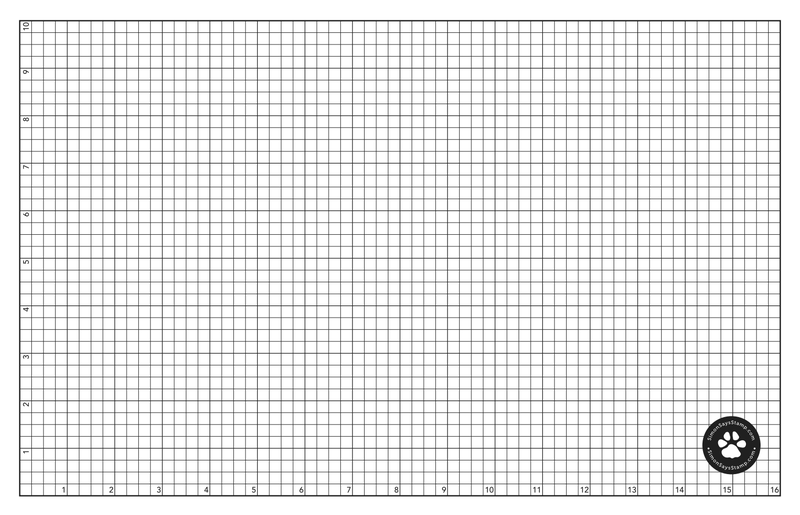 I’ve linked all supplies at the end of this post. Compensated affiliate links used. I love Elena’s cute illustrations and the Wild Ones set is packed with cuteness. 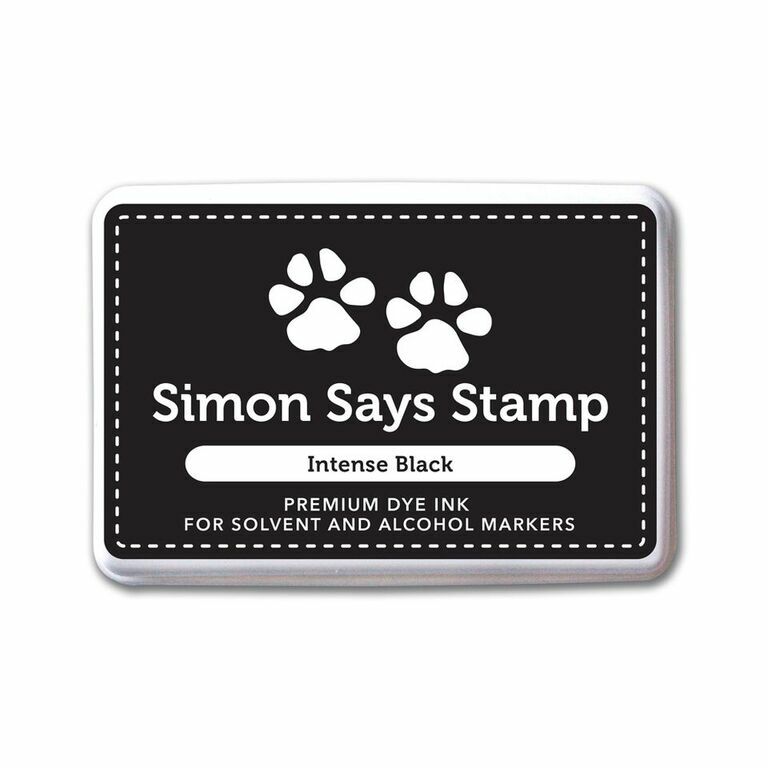 I stamped a variety of images from the set with Intense Black ink, die cut with their matching dies and coloured with Copics. 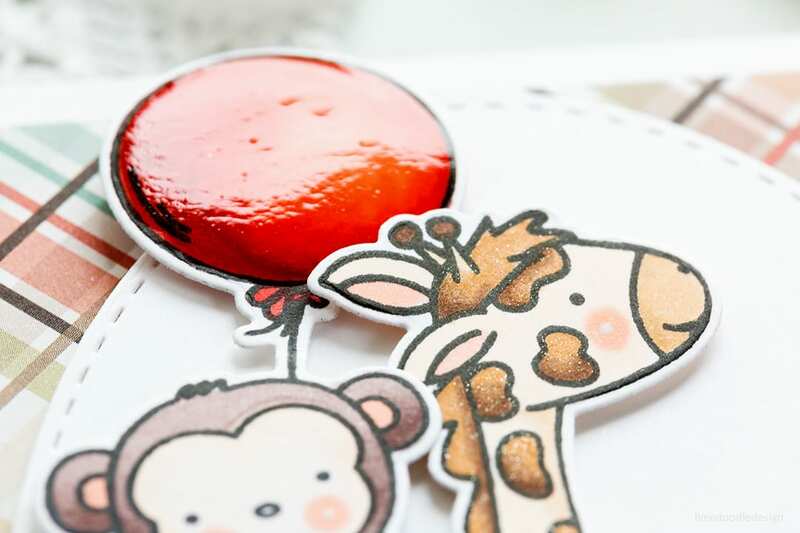 I added Wink Of Stella to the balloon, giraffe markings and turtle markings. Then I added Nuvo Crystal Glaze to the balloon and turtle shell. I also added glaze to the cake topping and then sprinkled it with lots of Tim Holtz Distress Glitter to give a thick, sugary frosting. As a final add-on I used a white gel pen to add details to the critters cheeks and polka dots to the party hat. I kept the rest of the card simple to showcase the critters. 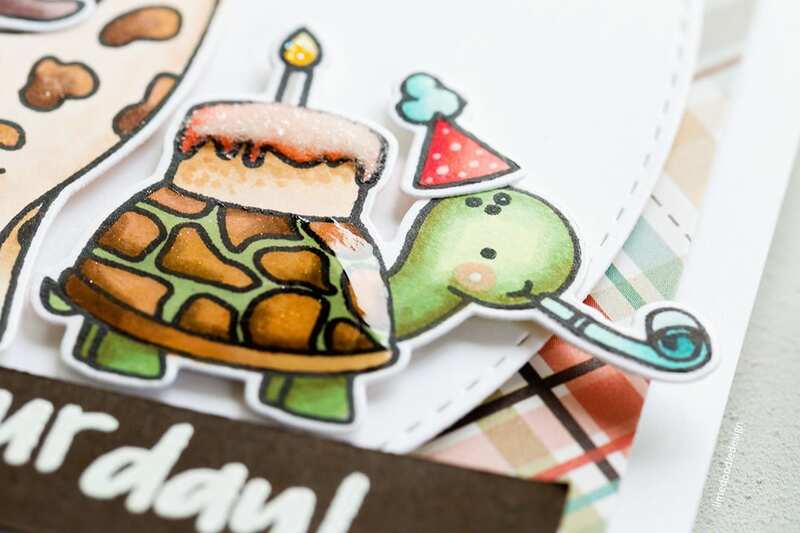 I foam mounted a Basic Rectangle of patterned paper to a white card base, foam mounted a Stitched Oval to that and then foam mounted the critters on top – lots of dimension! 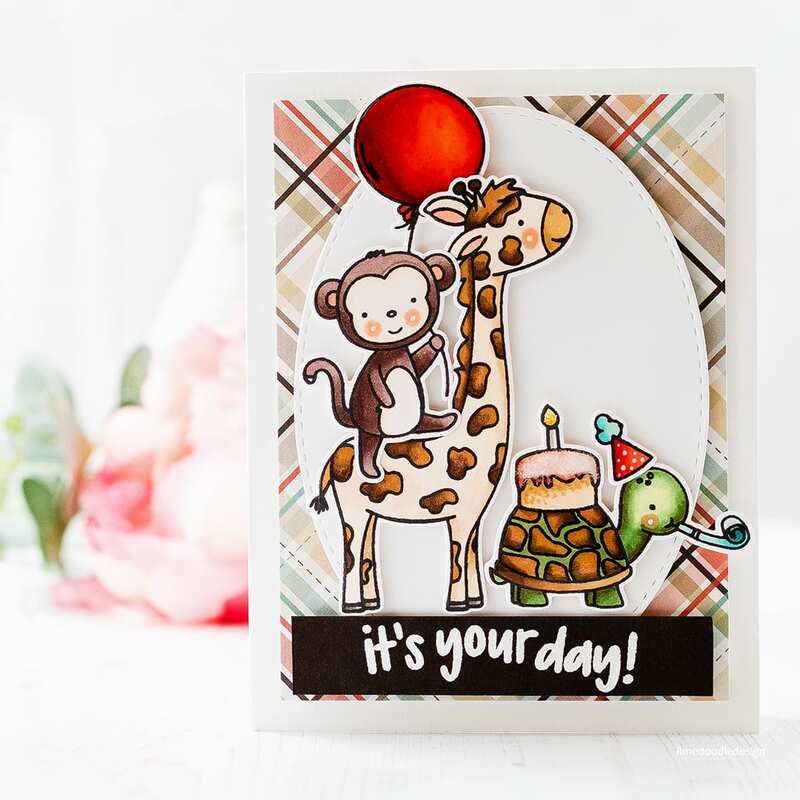 I white heat embossed a sentiment from the Hooray set on Dark Chocolate card, trimmed to a banner and adhered over the lower portion of the white oval to ground the scene. 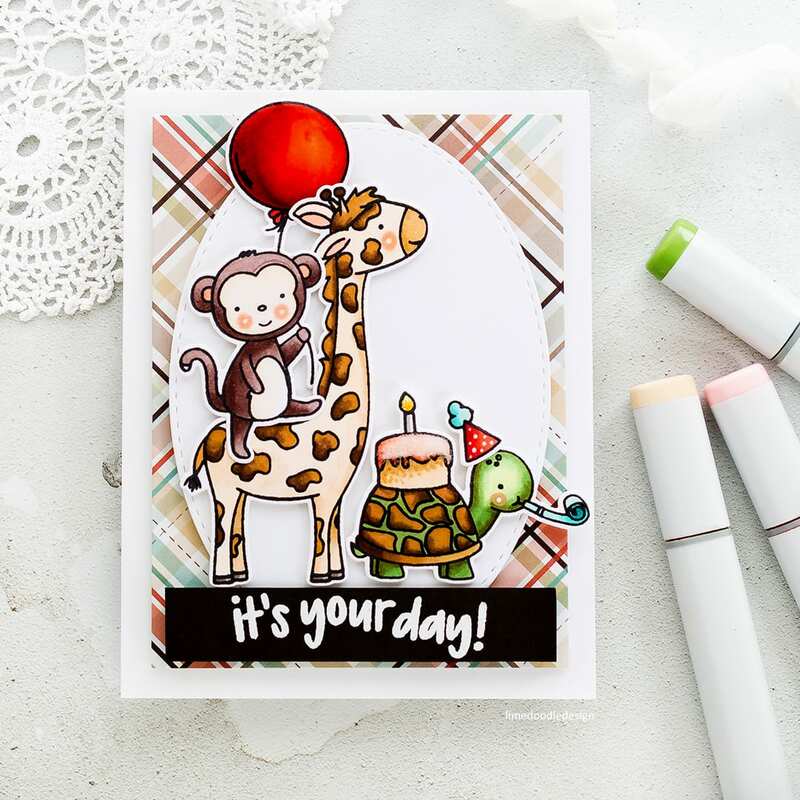 You can check out the new Neat & Tangled release at Neat & Tangled and Simon Says Stamp and keep an eye on the Neat & Tangled blog for a fun birthday month! You can find links to the supplies I’ve used below; click on the picture or shop icon to get taken directly to the product. Where available I use compensated affiliate links which means if you make a purchase I receive a small commission at no extra cost to you. You can read my affiliate and product disclosure here. I truly appreciate your support. Oh Debby, this is SO sweet. You not only have an eye for colour but you know exactly how and where to apply them! (This is something that does not come naturally to me and I struggle with it.) I guess that is why I am so drawn to these blogs, I am trying so hard to learn and I am slowly picking up tips. TFS!